Accessory pack of electrical parts for XT & DT models being converted to 12 volt electrics. 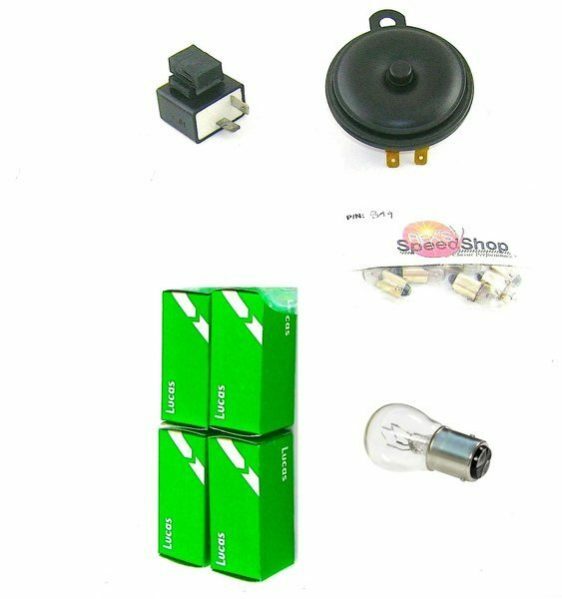 Contains electronic 12 volt indicator relay that works with LED and filament bulbs, horn and a set of 12 volt bulbs EXCUDING the headlamp – you need to buy this separately from the bulbs page according to the type of bulb you have. This kit is intended for overseas sales or where battery is to be sourced locally. See kits 2 & 3 if you would like either a battery eliminator or a battery. Cheaper than buying the parts individually.